Members of the Anubhuti team were selected for the Indian Association of Women Studies Conference 2017 at Madras University to present papers on our research. 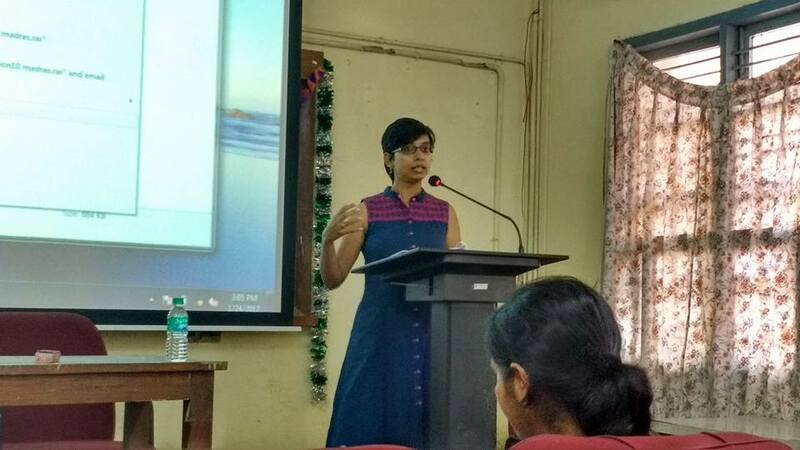 Amrita De and Deepa Pawar presented a paper on “ Women Social Activists as Women Workers: How do they access rights in the workplace?” in which they explored the experiences of (cis/trans/ perceived as) women in social activist work spaces. 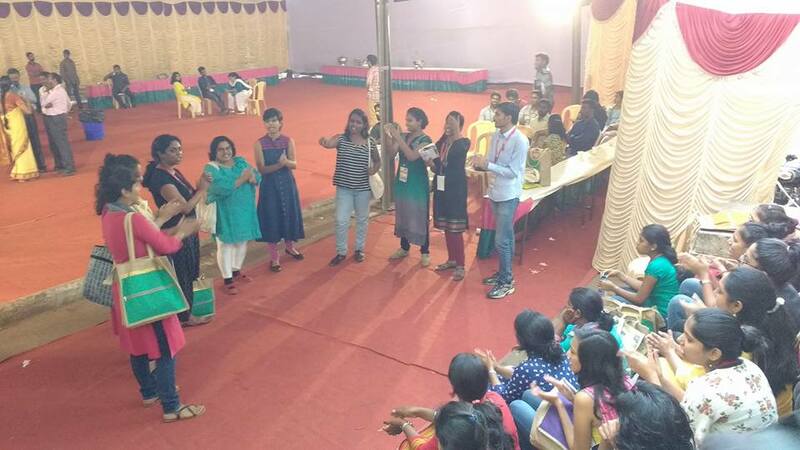 During the conference we also met students and activists from across the country, and on the last day, together with students from Pune University, Allahabad University, Madras University, and other universities and institutes we sang songs, raised some slogans and exchanged ideas about our activism and our research. Since a lot of the songs and slogans were in Hindi, one student of Madras University came up to us later to say that even though he did not understand the words, he did feel the passion behind what was being said. Another student from Pune spoke about his own work and how young activists like him do not find support systems. Our experience of IAWS cannot be talked about without mentioning the protests happening in the city, especially so since Madras University was directly opposite Marina Beach where the protests were concentrated. On the first day itself, the Anubhuti team got a chance to witness the protests up close and realised what little information we were getting in Mumbai. Looking beyond the trigger of the protests, we saw a passionate collection of youth fighting against the state and corporations. Issues ranging from funding of education to issues of farmers and water distribution (Madurai has drinking water available only till the end of February) were being brought up. To quote Angela Davis, it was a “ leaderful movement” not led by any political party. Protesters were being offered water and food by individuals, such as taxi drivers, supporting the protests. Even we as spectators were also offered the same. Overall the protest seemed peaceful, yet full of passion and celebration. Which made the reports of the protest turning violent the very next day quite unbelievable and we were genuinely saddened by the police crackdown. Maybe we can take some lessons from the Chennai protest- how it didn’t rely on a singular leader, how it was youth led, how it was mostly inclusive and how it took care of the protesters. Read more about the protests here. 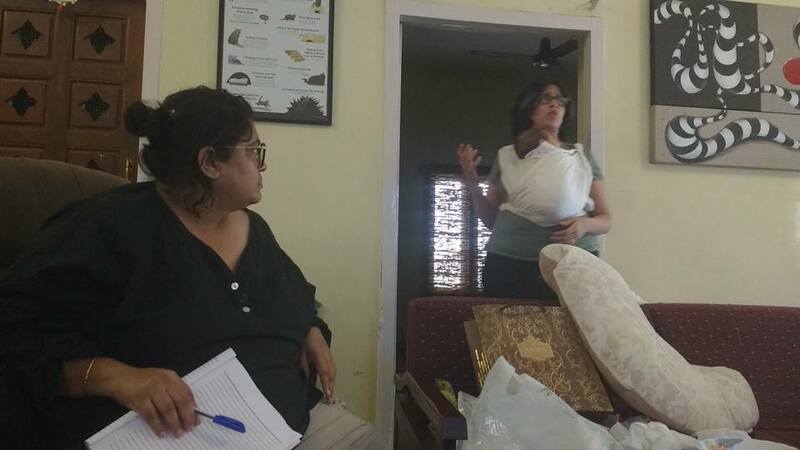 On the 25th of January, Amba Salelkar conducted a day long workshop with members of the Anubhuti Team on how to read and use legal and policy documents for advocacy. Amba is with Equals Centre for Promotion of Social Justice where she works on Legal Harmonisation. This workshop covered the basics of legislation and policy making, how to read legal documents (such as the Right to Education Act of 2009) and understanding legal definitions, as well as how states implement policies and their obligations towards rights, how to measure and monitor the outcome of these policies through the OPERA framework, and an introduction to UN treaty bodies and mechanisms as well as how to look at international conventions and guidelines in relation to specific rights. This workshop was designed to be interactive through various exercises using our Sharir Sanvaad Abhiyan as reference, and we were given time to look at legal and policy documents to understand how to further use them in our campaign. This workshop was very useful to us, not only for our current campaign but also for our engagement in other advocacy activities such as commenting on a new legal document or monitoring the progress of state policies. 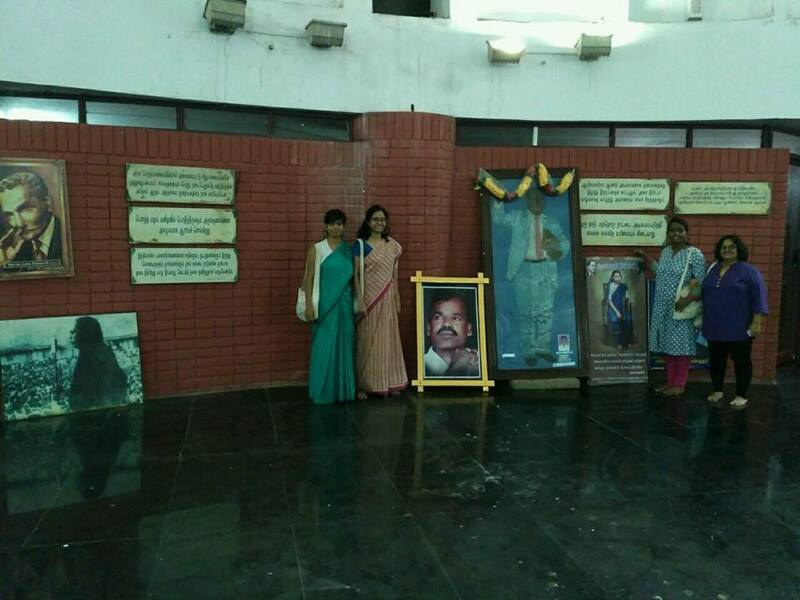 On the last day of our visit to Chennai, we decided to visit the Ambedkar Manimandapam (Ambedkar Memorial). There we happened to meet members of the Nila Dhamma Trust celebrating 26th January as a day to remember Dr. Bhimrao Ambedkar, who drafted the constitution that made India a Republic on this day. 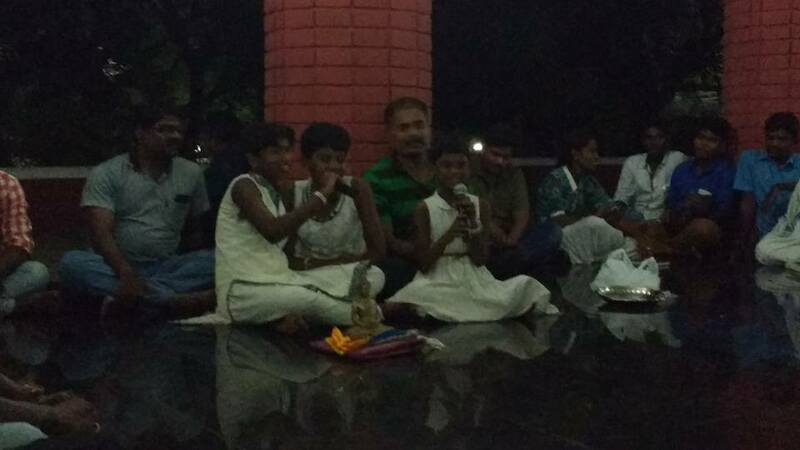 We had unfortunately reached after their celebrations, however after a short interaction some of the youth decided to perform some songs they had written, if we also sang a few songs. The youth in this group are mind blowingly talented and performed not only songs about Babasaheb Ambedkar and Buddha written by them, but also dances on a marathi song by Adarsh Shinde about Bhima Koregaon and on Ginni Mahi’s “Fan Babasaheb Di” as well as a short skit based on the drafting committee of the Constitution. In turn we sang a couple of songs by written by Kabir Kala Manch, and raised a slogan that we have been working on called “Takkar De”. Anuradha, who was interpreting for all of us, tried to explain what the slogan meant and find a suitable Tamil word for the same. From this discussion the response of “Thalla” (which means to push with great force) was unanimously decided upon, thereby giving a chennai twist to this slogan and creating a bridge between the east and west. The youth of Nila Dhamma, we learned, meet regularly to learn about Buddhist philosophy and the work of Dr. Ambedkar. 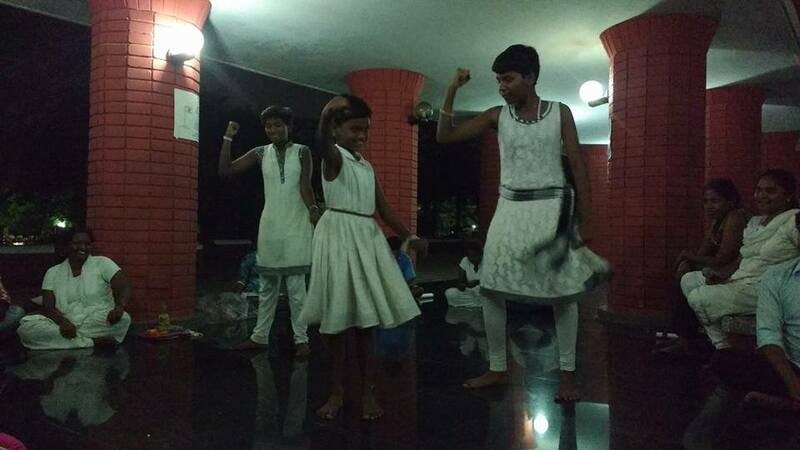 They also have taught themselves a great deal through the internet and the writings of Babasaheb Ambedkar. 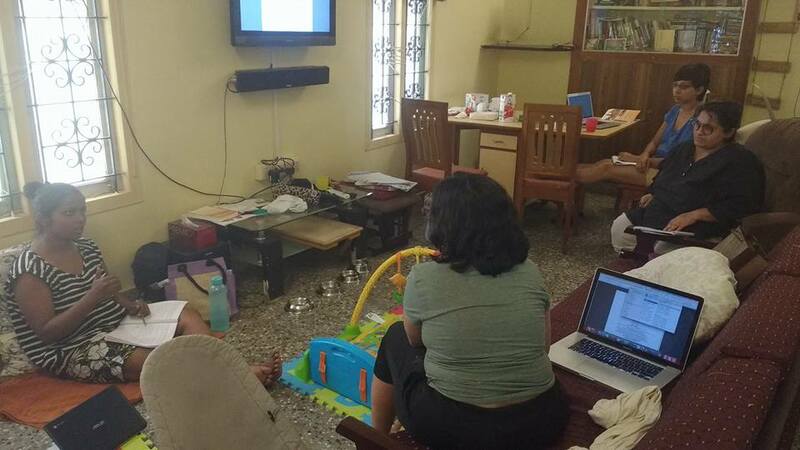 We plan, and hope, to keep this connection going through more such meetings, and look forward to the youth in Mumbai and the Nila Dhamma youth working together!